Despite being the most common heart arrhythmia disorder in the U.S., there is not much research on the causes of atrial fibrillation in minority populations. And while researchers know that black and Latino individuals are less likely than whites to develop the condition, which is also known as AFib, they cannot yet fully explain why these groups are paradoxically more likely to experience higher rates of complications and even death as a result of AFib. Thanks to the development of a large, diverse registry of patients, researchers at the University of Illinois at Chicago who have been studying AFib in minority populations think they have unlocked one small part of the mystery. "Our analysis shows that there is a genetic predisposition to early-onset AFib in blacks and Latinos that is greater than what we see in whites," said Dr. Dawood Darbar, professor of medicine and head of cardiology at the UIC College of Medicine. The findings from the study, which looked at data from 664 patients with AFib, are published in JAMA Network Open. 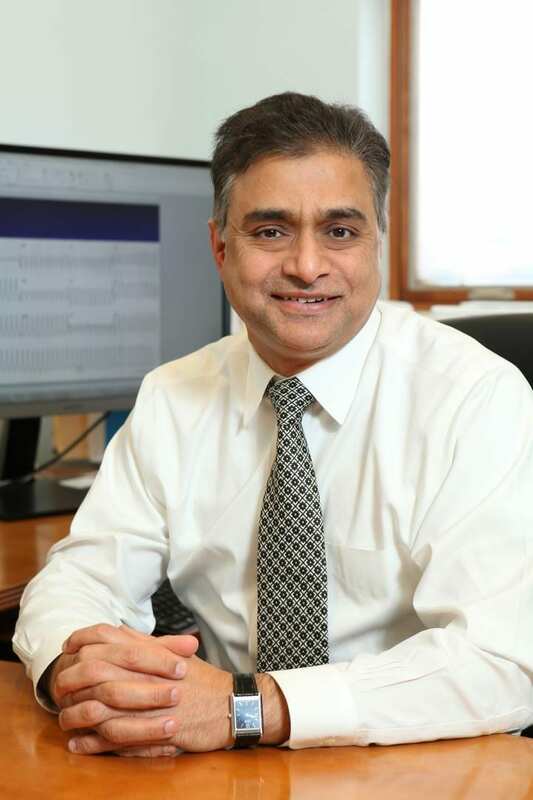 Darbar says that the study offers the first research-based evidence in support of increased monitoring, even including genetic testing, of individuals and their families who have first-degree relatives diagnosed with AFib prior to age 60 as a preventive measure against complications that can develop as a result of the condition, including stroke. "Many people with AFib do not know they have the condition until they present to the emergency room with a stroke," Darbar said. "Identifying people at risk for AFib and preventing these complications is the most effective way to improve AFib outcomes in black and Latino communities." While Darbar says more studies on AFib are needed, this one is unique because most prior studies on family history and AFib relied on data from mostly white populations, leaving doctors with little research to guide personalized treatment in minority communities. Of the 664 patients enrolled in UIC's AFib registry at the time of the study, 40 percent were white, 39 percent were black and 21 percent were Latino. The researchers found that there was a family history of AFib in 49 percent of patients who were diagnosed with early-onset AFib — which is defined as occurring in patients younger than 60 years of age — compared with only 22 percent of patients diagnosed with AFib later in life. When broken down by race, the chances of a patient with early-onset AFib having a first-degree relative with the condition was more than two-and-a-half times more likely for blacks and almost 10 times more likely for Latinos, compared with only two-and-a-half times more likely for whites. "I was surprised to see that even though blacks and Latinos have a lower risk of developing AFib than whites, they had similar or higher risk if there was a family history of the condition," Darbar said. "This is telling information for practicing health care providers who, while working with patients, need to determine risk and develop preventive strategies — not just for patients, but for their families, as well." Co-authors on the study are Dr. Zain Alzahrani, Aylin Ornelas-Loredo, Sara Darbar, Dr. Abdullah Farooqui, Denise Mol, Dr. Brandon Chalazan, Elizabeth Villagrana, Dr. Mark McCauley, Dr. Sorin Lazar, Dr. Erik Wissner, Dr. Adarsh Bhan and Sreenivas Konda of UIC. The research was supported by grants from the American Hospital Association (17MCPRP33420153) and the National Heart, Lung, and Blood Institute (R01HL092217 and HL138737) of the National Institutes of Health.